FAMIUM DASH is a fully standard-compliant DASH end-to-end solution. It also supports cutting-edge features on content creation side. These are complimented by the various features included in the HTML5-based FAMIUM player, which enables a wide range of use cases. With DASH, clients can seamlessly adapt to media representations (e.g. in terms of resolution, codec or bitrate) that best fit the user's device and network connection. Not only does FAMIUM provide content delivery in the highest quality available for a given network – faster start-up times for media playback can also be expected. 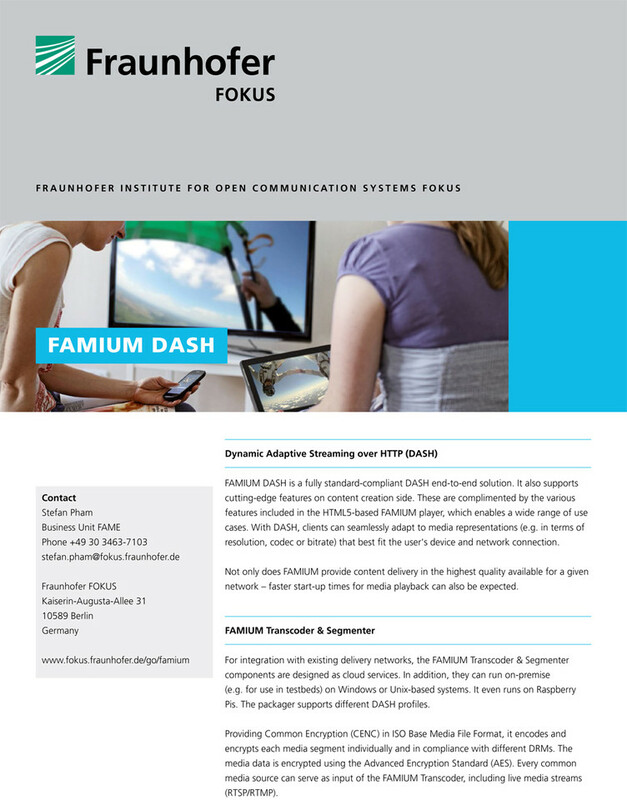 To stay updated on the latest developments of FAMIUM DASH and news of Fraunhofer FOKUS FAME, please subscribe to our newsletter. For integration with existing delivery networks, the FAMIUM Packager components are designed as cloud services. The FAMIUM Packager consists of two components: FAMIUM Transcoder and Segmenter. In addition, they can run on-premise (e.g. for use in testbeds) on Windows or Unix-based systems. It even runs on Raspberry Pis. The packager supports different DASH profiles. Providing Common Encryption (CENC) in ISO Base Media File Format, it encodes and encrypts each media segment individually and in compliance with different DRMs. The media data is encrypted using the Advanced Encryption Standard (AES). Every common media source can serve as input of the FAMIUM Transcoder, including live media stream (RTSP/RTMP). The FAMIUM Player is based on dash.js. It allows playing of on-demand and live DASH content and dynamically adapts the bitrate to current network conditions. Fraunhofer FOKUS is an active contributor to the 'dash.js' Open Source project. 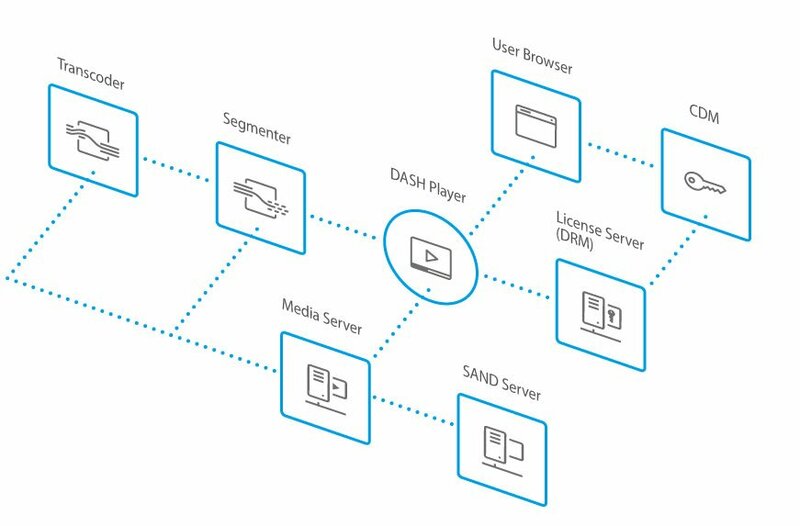 It takes advantage of the HTML5 Media Extensions MSE & EME, enabling interoperable premium video consumption in HTML5 Web browsers without depending on proprietary plug-ins.